(Reuters) - The Trump administration is likely to open up portions of the Atlantic to oil and gas drilling despite opposition from East Coast states, a U.S. Interior Department official suggested in remarks at a recent energy industry conference, a recording of which was reviewed by Reuters. The comments come as the administration of President Donald Trump prepares to release a new five-year drilling plan proposal for federal waters that could vastly expand available acreage, part of its broader agenda to maximize U.S. oil, gas and coal production. Interior's assistant secretary for land and minerals management, Joe Balash, said in his speech that the department had been working to permit seismic testing off the East Coast - noting that the department would not have undertaken the work if the acreage was to be kept off limits. "I will tell you that we wouldn't work really, really hard to get seismic permits out if it was an area that wasn't going to be available," Balash said, according to a transcript of the recorded remarks made at the International Association of Geophysical Contractors annual conference in Houston on Feb. 20. Responding to a question from the audience following his prepared remarks, Balash said the proposal would likely "be drifting into the second quarter of this year," as the department had underestimated the amount of time the proposal would take. His comments were first reported by The Guardian. 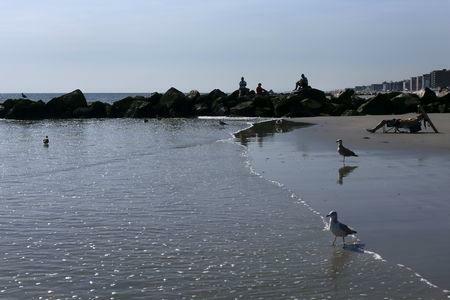 States from New England to Florida have expressed strong opposition to offshore drilling and have asked the Trump administration to be exempted from its offshore drilling plan, arguing the risk of an oil spill far outweighs the promised jobs and revenues. The Interior Department's Bureau of Ocean Energy Management is currently reviewing nine geological and geophysical permit applications to allow seismic testing in areas from Delaware to Florida, according to documents on its website. Several states have sued to halt the effort. Seismic testing, a precursor to drilling, uses air gun blasts to map out what resources lie beneath the ocean - a practice that research suggests hurts whales and other marine mammals. When asked about Balash's comments at the energy conference, Interior spokesman Russell Newell said the five-year drilling proposal had not yet been completed. "As Assistant Secretary Balash made clear and as BOEM Acting Director Walter Cruikshank stated last week in Congressional testimony, BOEM is still working on the proposed program documents," Newell said in an emailed statement. "As these documents are yet to be finalized, no final decisions have been made." BOEM last year issued a draft proposal to open up over 90 percent of coastal waters in the outer continental shelf to oil and gas drilling, including areas like the Atlantic coast and California, and said it would accept feedback before offering a final proposal this year. Shortly after announcing the initial proposal, former Interior Secretary Ryan Zinke said he had agreed to exempt Florida. He also told officials from at least six states that they would be "pleased" or "happy" with the final plan, that the waters off their coastlines do not have enough resources to make investment worthwhile, or both. 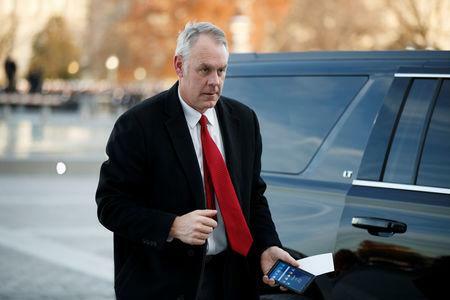 It is unclear whether those plans have been altered since Zinke resigned in December. Trump nominated Zinke's deputy, David Bernhardt, a former lobbyist, to replace him. BOEM Director Walter Cruickshank last week said opposition to offshore drilling was just one factor BOEM would consider in drafting the revised proposal.